sectors in which creditors are invested, trampling over prior norms and laws as necessary….They do not pursue monetary policy with sufficient force to ensure expenditure growth even at risk of inflation. ….This preference is not at all difficult to understand. The ailing developed economies are plutocratic democracies. “The people” do have power, but influence is weighted in a manner correlated with wealth. The median influencer in these economies is not a billionaire, but an older citizen of some affluence who has mostly endowed her own future consumption. She would like to be richer, of course. But she is content with her present wealth, and is panicked by the prospect of becoming poorer. For such a person, the depression status quo is unfortunate but tolerable. The risks associated with expansionary policy, on the other hand, are absolutely terrifying. I have a hard time buying this. The bailout of the banks was way overdetermined. Everyone agreed that a banking collapse would be catastrophic and had to be avoided at all costs. You can argue that we went about it the wrong way, that maybe temporary receivership would have been a better policy for some of the big banks, but it’s hard to argue that the mere decision to rescue the banking system favored one particular constituency. And Steve’s “median influencer” is problematic too. I’m willing to buy the idea that the upper middle class in general is the single biggest influence on our political system, but that’s not the same thing as “an older citizen of some affluence.” It’s in a similar ballpark, but it’s not the same thing. And the wealthy and the broad middle class are significant influences too. But put that aside for the moment. It’s not the biggest problem here. Rather, it’s Steve’s claim that the median influencer — whoever it is — “is panicked by the prospect of becoming poorer,” which explains our financial system’s rabid opposition to inflation higher than 2%. This claim might have made sense 50 years ago, when many of the affluent elderly were coupon clippers. But today it doesn’t make sense even for them, and it certainly doesn’t make sense for anyone else. Hardly anybody literally lives on a fixed income these days. The elderly middle class lives on Social Security, which is indexed to inflation. The broad middle class has its retirement savings invested in 401(k) funds, which do better when the economy does better. The wealthy have their money invested in a variety of sophisticated vehicles, all of which are hedged against inflation in one way or another. We simply don’t live in a world of fixed returns anymore. 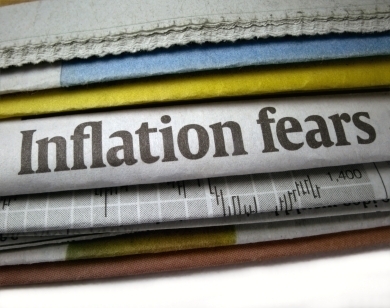 Unless you’re a hedge fund quant making some specific kind of inflation play, there are very few people today who have any reason to fear higher inflation, especially of the moderate, temporary sort that the Paul Krugmans and Scott Sumners of the world advocate. So….I’m having trouble with this. There’s no question that our financial elites are pretty fiercely anti-inflation. And there are certainly a few constituencies who rationally fear inflation: holders of fixed-rate mortgages, small savers limited to the interest rates at their local credit union, and (possibly) those who are heavily invested in low-yielding corporate bonds or muni bonds. But are those really the people influencing Fed policy? I’m not seeing it. In the end, I guess this is really a request for Steve to write in more detail about this. It’s worth figuring out who exactly is influencing Fed policy, as well as central bank policy everywhere else in the world. But central banks have always been pretty rabidly anti-inflation, so I’m not sure you can pin the blame on something specific to the “developed, aging polities” of today. After all, William McChesney Martin didn’t much like inflation 50 years ago, and Chinese central bankers don’t much like it now. But why?